The 2017 World Day to Combat Desertification celebrations mark the Power the land holds in giving people an opportunity and a future to stay resilient on their home ground. 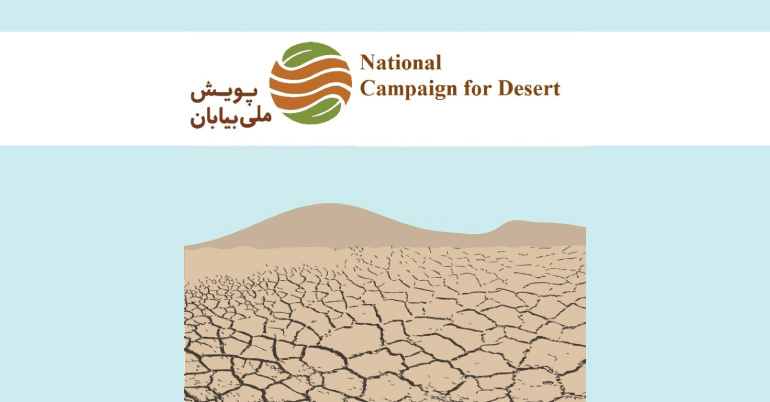 Green Idea Contest for World Day to Combat Desertification 2017 which is a part of National Desert Campaign of Iran. This is a green student-run project devoted to the global earth challenges such as desertification, climate change, land degradation, deforestation, biodiversity loss, water scarcity and … . This contest has addressed all student around the world regardless to field of study, nationality and age. In order to apply for the contest, you must fill the form and write a short essay (no word limit is applied) about your ideas and solutions for desertification, dust storm, land degradation and water scarcity. Also if you have no idea or solution, please kindly write a short essay about experiences of your country in the mentioned environmental challenges. Three best essays will be nominated and receive a full-funded trip to Iran for one week. Get involved in a planet-friendly and green international project in order to find solutions for global environmental challenges. Have an idea or solution for global environmental challenges (desertification, dust storm, land degradation and water scarcity). The applicants must consider Intellectual Property and do not send ideas not authorized by them. Students from any country can apply for the contest. Level and field of study will not be considered as selection criteria. Application is quick and simple. Please kindly fill the form.